The present mean annual per capita consumption of electricity in India is only around 800 to 900 kWh. This is a low value and it is accepted that it will have to increase in the future to a mean value which could range from 1840 to 4000 kWh. This paper is concerned with an aspect which has not received attention so far, viz. the nature of the distribution of the consumption around the mean with respect to the population. Since no direct data is available, an attempt is made to deduce the present distribution in India from data available for the world as a whole. It is shown that the present variation can be approximated to be a Poisson-like Weibull distribution which is highly inequitable. The study goes on to suggest a distribution for the future in which not only is the mean annual per capita value higher, but the variation can be approximated by a Gaussian-like Weibull distribution which is more equitable. Born on November 5, 1938, S. P. Sukhatme received his schooling at St Columba’s High School, New Delhi. Thereafter, he obtained the degrees of B.Sc.(Engg.) from Banaras Hindu University, and S.M. (Master of Science) and Sc.D. (Doctor of Science) from the Massachusetts Institute of Technology (M.I.T). Prof Sukhatme has been a faculty member in the Department of Mechanical Engineering at IIT Bombay since 1965 and is a Professor Emeritus since 2000. 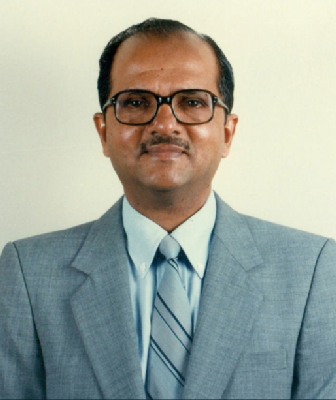 He was the Director of IIT Bombay from 1995 to 2000, and Chairman of the Atomic Energy Regulatory Board, Govt. of India from 2000 to 2005. Prof Sukhatme’s areas of specialization are Heat Transfer and Energy and he is known for his contributions to both teaching and research. He is the author of two well-known books in Heat Transfer and Solar Energy and has guided numerous students for their doctoral degrees. Prof Sukhatme is the recipient of many honours. He was awarded the Shanti Swarup Bhatnagar Prize for Science and Technology in 1983. He is a Fellow of the Indian Academy of Sciences, the Indian National Academy of Engineering, the Indian National Science Academy and the National Academy of Sciences. He received the Padma Shri in 2001 and was the first recipient of the Lifetime Achievement Award of IIT Bombay.